Johnny Cueto showed off some orange-tinted dreadlocks beneath his off-kilter cap that will fit in perfectly with his new San Francisco Giants colors. And his former team, the World Series champion Kansas City Royals, arrived in the Arizona desert and got started Feb. 18. From Arizona to Florida, the familiar sound of baseballs snapping into gloves has returned as many clubs held their first spring training workouts for pitchers and catchers, a signal of the true start of a new year. In the greater Phoenix area, a cooling cloud cover provided a respite from the unseasonably warm 90-degree temperatures. Greinke, signed to a $206.5 million, six-year contract with Arizona, was picked as the Diamondbacks' opening day starter in what manager Chip Hale called the easiest decision he has had to make. The D-backs train in Scottsdale. 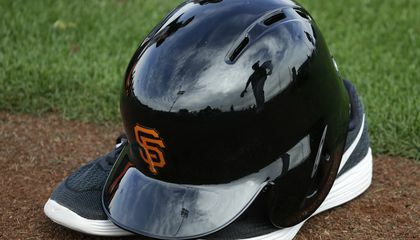 Price brought his new $217 million, seven-year deal to Red Sox camp in Florida with similar fanfare, while Jeff Samardzija began getting in sync with his new San Francisco catcher, Buster Posey. After playing catch with closer Santiago Casilla, Cueto sat in the dugout at Scottsdale Stadium soaking in the scene of his new spring home in Arizona. His Dominican Republic countryman, former Giants manager Felipe Alou, made a point to stop and thank the pitcher for joining the organization. He is plenty funny, however. When told pitcher Madison Bumgarner brought horses to spring training, Cueto cracked, "Maybe he will sell me one, or maybe he will gift me one." Manager Bruce Bochy figures Cueto will fit in well on a Giants team that has won the World Series in even years of late -- 2010, '12 and '14 -- with some different characters. 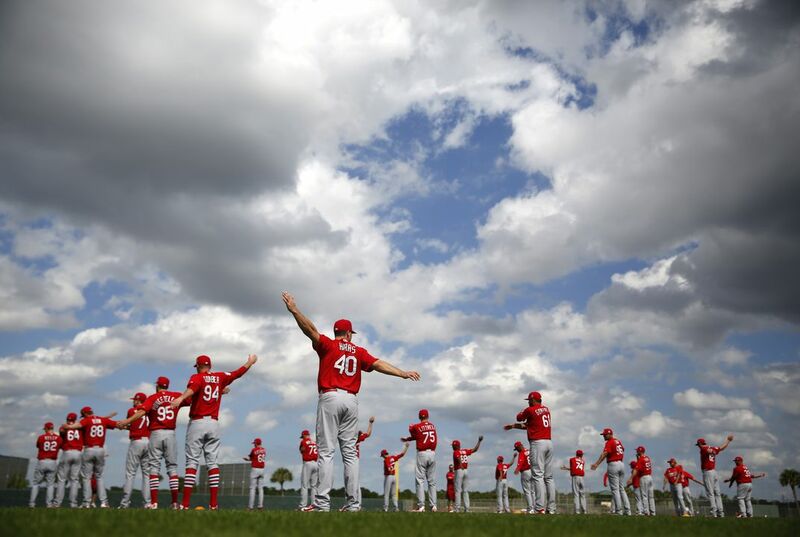 In Tempe, Arizona, the Los Angeles Angels pitchers and catchers reported, while the first day for Padres pitchers and catchers was decidedly more low key this year than in 2015. Last spring, San Diego had big expectations following a shopping spree by general manager A.J. Preller. "Same as every spring training," said outfielder Matt Kemp, one of a handful of Padres position players who arrived early. "I think everybody has a goal of coming in and making a championship team. Nothing has changed from last year." In Sarasota, manager Buck Showalter loved seeing so many of his Baltimore Orioles regulars report ahead of time. That included South Korean outfielder Hyun-Soo Kim, who brought with him a dozen members of the South Korean media. Pitchers and catchers begin practice first because they start all the plays in games. The author reported that "Now, all those franchises that went on offseason spending sprees to improve their pitching are counting on those arms to come through" (par. 4) During games, the pitcher and catcher run the plays, with the pitcher throwing the ball and the catcher receiving. Therefore, they need the most practice and thus start practice first. I liked this article because I enjoy baseball. Pitchers and catchers are the first so that the pitchers can begin to get their arms ready for the season, and so that they can get accustomed to their new team if they were traded. Position players can also report early, and many do. Pitchers and catchers are the fist to begin practicing because they are the first to start a play in an actual game. They also start practicing first because maybe if they were traded they can get use to the pitching and catching style of their new teammates. They can also start using communication skills to maybe run plays easier or to notify each other special signals.